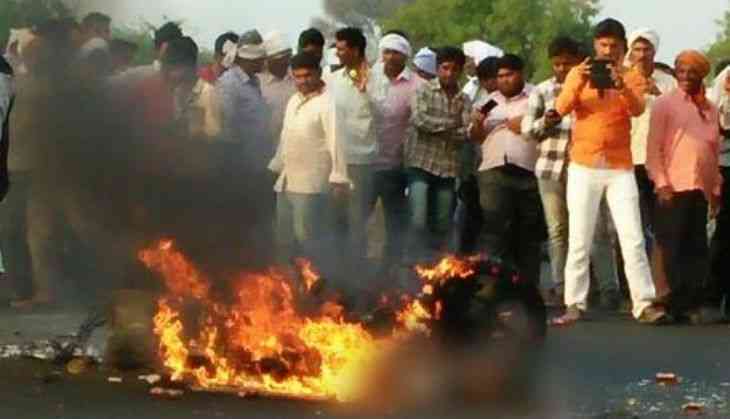 In a terrible video, which was apparently shot by an onlooker, a man was seen engulfed in flames on the highway in Beed district of Maharashtra. The man was riding a bike and reportedly collided with another motorcycle. One of the bikers got trapped under the wrecked bikes that later caught fire, reported NDTV. Both the bikers have lost their lives, the report added. The biker sustained serious injury on his head in the accident, because of which he couldn't yell for help, said police. A lot of people could be seen crossing the path in the video but no one offered to help the injured man. When help arrived and police put the fire out, the man was somewhat singed to the point that he couldn't be recognised. "We are yet to establish who the victim is," senior police officer G Sreedhar told NDTV. "Since the number plates on the bike were burnt, we are unable to get many details about the victim. All we could tell from the plates was that the bike was registered in Parbhani (a town nearby). We have given the plate to the Regional Transport Office, which can give us details," Mr Sreedhar added. The police is investigating the possibility of one of the bikers carrying alcohol that could be the reason for catching fire.